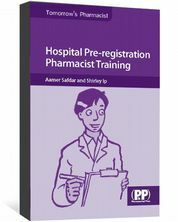 A pharmacist who stole dispensed prescriptions from a pharmacy where he was employed and then submitted them for payment as coming from his own business has had his name removed from the Register by order of the fitness-to-practise committee of the General Pharmaceutical Council. At its meeting on 2 July 2012, the committee inquired into the case of Sahajdeep Singh Uppal (registration number 2048669). Information had been received that on or around 21 March 2011, Mr Uppal had pleaded guilty to and had been convicted at Shrewsbury Crown Court of dishonestly making false representation and theft, for which, on or around 13 May 2011, he had been sentenced to 12 months' imprisonment, suspended for 24 months, and ordered to carry out 200 hours of unpaid work. Mr Uppal was present at the hearing and was represented by Nagena Khalique, of counsel, instructed by Mallets, solicitors. Jeremy Loran, case manager, appeared on behalf of the GPhC. The committee heard that Mr Singh had stolen prescriptions that had been dispensed by the Co-op where he worked over a period of about 14 months. He then submitted them to the pricing authority as if they had been dispensed by Meds Direct, his own mail order business, and his business received payment. In addition, he stole a quantity of drugs from the Co-op and then dispensed them from his own business. The value to him and his business of this dishonest activity between August 2008 and September 2009 was some £52,000. By contrast, the value of the legitimate business of Meds Direct for the same period was £3,466, the committee heard. Mr Uppal was arrested on 17 November 2009, and prosecution and conviction followed. The committee also heard that Mr Uppal had been suffering from illness at the relevant time as a result of the financial pressures he was under following the purchase of a house and the additional costs of unexpected and expensive building works, and that the responsibility for what he did was affected by this illness. However, medical evidence provided to the committee suggested that the symptoms of Mr Uppal's illness effectively began with his arrest, and were associated with his arrest. The chairman, Christopher Gibson, QC, said: "We are prepared to accept, as the sentencing judge did, that Mr Uppal may have been suffering from [his illness] at the time he committed these offences. We are also prepared to accept that he probably does not now represent a risk to the public. 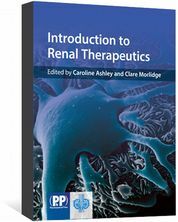 But we also have to consider the need to uphold professional standards and public confidence in the profession." The point was that Mr Uppal had been corrupt with his employer and corrupt with the NHS, the chairman said, and he had acted in a planned and premeditated way on numerous occasions over 14 months in such a way that his integrity could no longer be relied upon. Giving the committee's decision, the chairman said that although the committee accepted that Mr Uppal was under financial pressure and that he was ill at the time the offences were committed, it did not accept that “his will was overborne by his situation”. "His membership of the pharmacy profession carried with it the obligation not to bring the profession into disrepute and to conduct himself with honesty and integrity. He knew that he should not have done what he did and he knew while he was doing it that he should stop it," the chairman said. He concluded that public confidence in the profession demanded no less a sanction then Mr Uppal's removal from the Register. 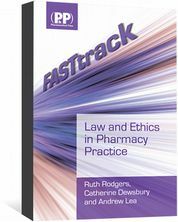 FASTtrack: Law and Ethics in Pharmacy Practice covers key legislation affecting pharmacy and the pharmacist practitioner.